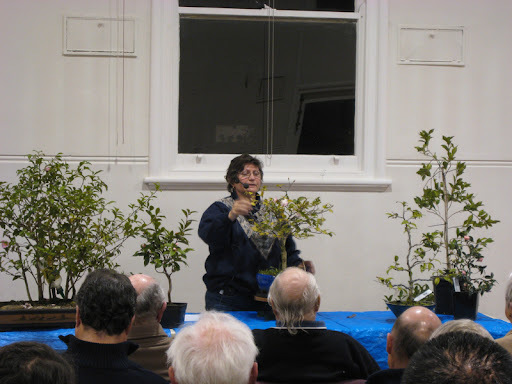 Tonight a good sized audience saw a talk on Camellias by Sally. 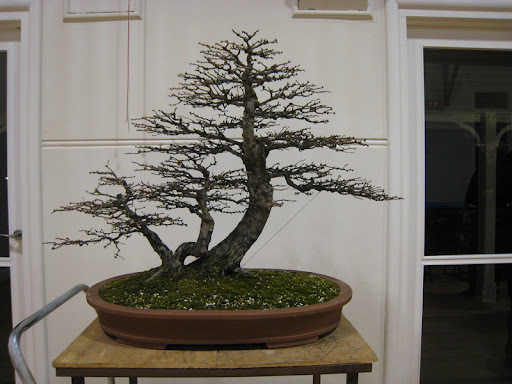 All kinds of bonsai suitable varieties were discussed. Most had nice small leaves and beautiful flowers. It seems the camellia it a perfect subject for bonsai and shares many traits with that of the Azalea. All in all a very informative night. Hopefully we will see an increase in Camellia bonsai in the future. One of the beautiful blooms. Sally Discussing the merits of Camellias.